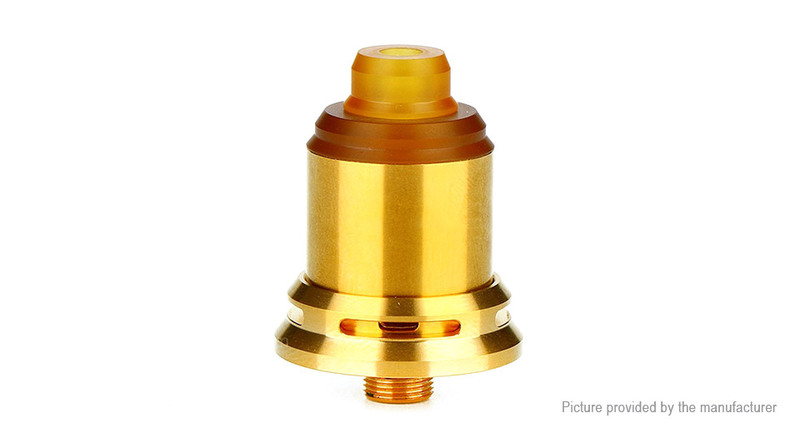 The Arctic Dolphin Rexx RDA is a newly designed rebuildable dripping atomizer. With the feature of a gold-plated two posts build deck, the Rexx RDA supports easy single or dual coils building with a deep juice well. Plus the rotatory decoration ring which can adjust the bottom airflow, it will bring you the smooth airflow and optimal flavor. The Dolphin Rexx RDA also comes with a bottom feeding (BF) pin, which makes it compatible with most Squonk MODs and brings you an easy vape. It is definitely an excellent RDA tank for DIY lovers. Only TPD Edition available.